Outrageous pantomime commissioned by the Royal Shakespeare Company telling the story of young Will Shakespeare on his first trip to Elizabethan London. Featuring Richard Pasco, Sinead Cusack, Jonathan Hyde, Alan Howard and Joe Melia. OVERTURE. The red curtain rises. Mazda, the Master of the Shadows, tries to steal the Swan Down Gloves but he is prevented by Lumina, the Lady of Light who banishes the darkness and brings the morning to the little village of Snitterfield-up-Yore [2: WITH THE SUN ARISE]. It is rent day and Dame Rosie Tripe, the mother of Kit the Glover, does not have a groat to bless herself. Kit reassures her and sets out to London with his brother Will, a simple scribbler, to sell the Gloves [3: EVERYTHING'S GOING TO BE FINE]. Sir Walter Raleigh, just returned from the New World, is on the way to London to see the Queen. With him is Harry, Earl of Southampton and a genteel bit of fluff, Lady Alice the Cornflour Cat. She strays and comes upon a bit of ruff, Nightwork, a mercenary tom [4: CATASTROPHE]. Nightwork joins Kit and Will and they all enter the enchanted forest. Griselda Brimstone, the Marchioness of Lower Slaughter, meets Dame Rosie in the forest and they become acquainted [5: LET'S BE FRIENDS]. Meantime Kit and Nightwork have lost Will and the way [6: MAKE YOUR OWN WORLD]. Also alone and lost in the undiscovered country is Harry, who finds himself face to face with a softly weeping dragon, George [7: HOW'S THE WAY]. Through Mazda's magic meddling, Nightwork disappears in the clutches of the left-hand Glove. When Will meets Griselda it is love at first blight: he believes he has found his dark lady and gives her the right-hand Glove. Both Gloves are gone with less than a mile to London. Their hopes seem dashed. Lumina freezes the river so they can all cross into the town to search for the lost Gloves but Mazda surprises the good company by cracking the ice. Poised on the brink of disaster and a watery death, amid crashing chords, the first act curtain falls [8: GOING INTO TOWN]. When the red curtain rises on Act Two, the Dame is stuck in the frozen Thames and sinking fast but Lumina plays the rescue biddy [9: STUCK IN A MUDDLE]. Will has a plot in hand and there is a plan afoot to recover the lost Gloves. The Dame rallies the good company with a song and a dance [10: BEST FOOT FORWARD]. Griselda enlists Hack and Spit, two out of work actors, to kidnap Lady Alice but she is rescued by Nightwork [11: DEMEWER BUT DANGEROUS]. Undaunted by her first scrap, Griselda now summons an ambitious articulate punk rat, Rodney Gmawdrot, who agrees to poison the tea at Sir Walter's party in return for a peerage and the franchise on this new spud deal [12: MUCK]. Dame Rosie meets the Squire, Lump, who had been sent off in the first half for overacting. He is now looking for an entrance. She throws him a line "Marry me Rosie" [13: ANY OLD ROSE]. At Raleigh's party Will makes his debut as a writer. It is a disaster. The Rats run riot plaguing the tea, the Mad Marchioness poisons herself and the Gloves are up for grabs. 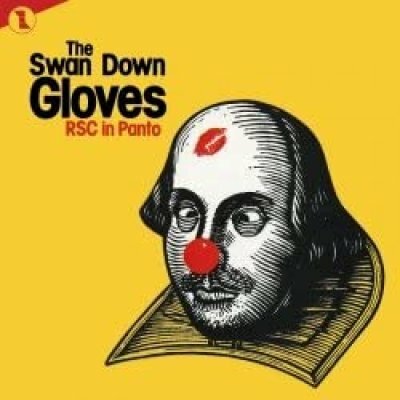 Rodney takes Harry and Alice hostages, the price of their release being the Swan Down Gloves. George comes to the rescue [14: FIRE DOWN]. The glittering panto figures take their leave of young Will Shakespeare and the red curtain falls [15: FINALE].